2015 May « Hercules and the umpire. It is early in the morning on Sunday. Last night, I spoke to Keller. In this economy, it is tough being a young postdoctoral researcher even when your novel idea has been accepted by BioScience, an Oxford Journal, with a high impact factor. SEC. 2. 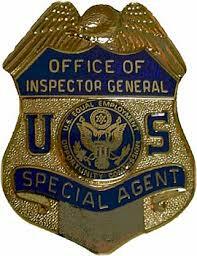 INSPECTOR GENERAL FOR THE JUDICIAL BRANCH. ‘‘1022. Appointment, term, and removal of Inspector General. ‘‘There is established for the judicial branch of the Government the Office of Inspector General for the Judicial Branch (in this chapter referred to as the ‘Office’). ‘‘(a) APPOINTMENT.—The head of the Office shall be the Inspector General, who shall be appointed by the Chief Justice of the United States after consultation with the majority and minority leaders of the Senate and the Speaker and minority leader of the House of Representatives. ‘‘(b) TERM.—The Inspector General shall serve for a term of 4 years and may be reappointed by the Chief Justice of the United States for any number of additional terms. ‘‘(c) REMOVAL.—The Inspector General may be removed from office by the Chief Justice of the United States. The Chief Justice shall communicate the reasons for any such removal to both Houses of Congress. ‘‘(5) recommend changes in laws or regulations governing the judicial branch. ‘‘(7) the extent and in such amounts as may be provided in advance by appropriations Acts, to enter into contracts and other arrangements for audits, studies, analyses, and other services with public agencies and with private persons, and to make such payments as may be necessary to carry out the duties of the Office. 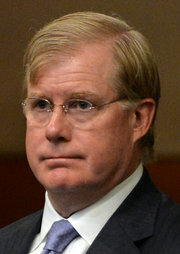 ‘‘(b) CHAPTER 16 MATTERS.—The Inspector General shall not commence an investigation under section 1023(1) until the denial of a petition for review by the judicial council of the circuit under section 352(c) of this title or upon referral or certification to the Judicial Conference of the United States of any matter under section 354(b) of this title. ‘‘(2) punish or discipline any judge, justice, or court. ‘‘(2) make prompt reports to the Chief Justice and to Congress on matters that may require action by the Chief Justice or Congress. ‘‘(b) SENSITIVE MATTER.—If a report contains sensitive matter, the Inspector General may so indicate and Congress may receive that report in closed session. ‘‘(c) DUTY TO INFORM ATTORNEY GENERAL.—In carrying out the duties of the Office, the Inspector General shall report expeditiously to the Attorney General whenever the Inspector General has reasonable grounds to believe there has been a violation of Federal criminal law. ‘‘(a) IN GENERAL.—No officer, employee, agent, contractor, or subcontractor in the judicial branch may discharge, demote, threaten, suspend, harass, or in any other manner discriminate against an employee in the terms and conditions of employment because of any lawful act done by the employee to provide information, cause information to be provided, or otherwise assist in an investigation regarding any possible violation of Federal law or regulation, or misconduct, by a judge, justice, or any other employee in the judicial branch, which may assist the Inspector General in the performance of duties under this chapter. ‘‘(b) CIVIL ACTION.—An employee injured by a violation of subsection (a) may, in a civil action, obtain appropriate relief.’’. ‘‘60. Inspector General for the judicial branch …………………………….. 1021’’.